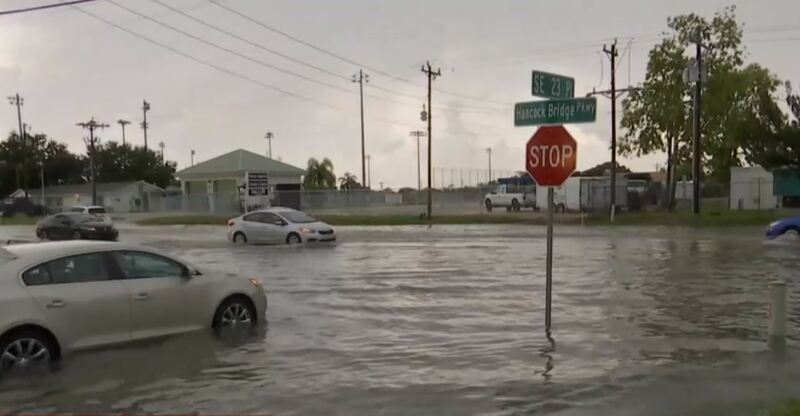 Localized flooding in Cape Coral on Aug. 19, 2018. Streets underwater and cars stranded in Cape Coral as an afternoon downpour causes localized flooding. It was a driver’s nightmare for a bit on Hancock Bridge Parkway Sunday as roads flooded. More than five cars were stalled out, and Vicky Fling was one of them, “The water just came up around my car and it died. There’s another one right there,” she said motioning toward another car. Now, the motorists are calling their insurance companies as they have a soggy mess on their hands. The floodwaters have since receded and the roadway is all clear.